New Delhi, India: Niyogi Books, 2017. 'You may break; you may shatter the vase, if you will But the scent of the roses will cling to it still.' This book is a delightful collection of introspective essays on the Garhwal Himalaya and life around it. The author draws from his memories of being brought up in the mountains, pictures that linger like a waft of sweet perfume on a breezy afternoon. With affection, Ganesh Saili writes of his many journeys through these valleys wrapped in the mist, travelogues that evoke details of natural history interwoven into the delicate social fabric of mountain life. The book is a living tribute to the large-hearted sons of the soil, who, down the ages, have yoked the hills together, through thick and thin, good times and bad times, have laughed at the thunder and mocked the skies, have left for the plains only to return, again and again, to the call of the mountains.The Garhwal Himalaya have always been much more than lumps of rock and ice-an enigma, a constant companion for travellers and explorers. Wanderings Through the Garhwal Himalaya is a gripping study of this incredible part of the Himalaya, which will make you want to be out there in the mountains amid sleet, snow, rain and wind. Printed Pages: 244.. First Edition. Softcover. New. New Delhi, India: Lenin Media Pvt. Ltd., 2015. Printed Pages: 232.. Hardcover. New/New. New Delhi, India: Kaveri Book Service, 2016. Our initial motivation for writing this novelette was to expose to the intelligent traveller to India, from Chinese-speaking environments, important cultural themes that are difficult to discover through guidebooks or even from the average tour guide. Our three characters are from China, Northern California, and Taiwan, and each travels to India for different reasons. Each of our characters introduce different themes according to their respective activities and interests. They each represent composites of real people we have known throughout our 30 years of itinerant life together and all three share an enthusiasm for the energy of the country. For the Indian reader, knowledge about these three characters and their stories will provide insights into China, Taiwan and the Chinese diaspora. Whatever region you come from, we hope that you care about our characters and we hope you share our excitement about the great land of India. Contents: 1. Du Xiao Zhou Nighttime in Bengaluru 2. British Colonialism, Ayurveda and Carnatic Music 3. British Colonialism 4. The Financial Analyst 5. Ayurveda 6. Carnatic Music and Mr. Ganapati 7. British Colonialism, Ayurveda Revisited 8. Chennai 9. Final Months in Bengaluru 10. Milton Wong 11. Cupertino, California 12. The Bald Hills of Northern California 13. The Revelation 14. Preparation for Bengaluru 15. On Route to India 16. At Home in Bengaluru 17. Milton?s IIT Ventures 18. Brenda and South Indian Temple Architecture 19. Bengaluru is Home (almost) 20. The Final Stretch 21. Gao Mei Lin 22. Hualien, Taiwan 23. New Delhi 24. Mahabodhi Express to Gaya 25. Bodhgaya 26. Rishikesh 27. Bengaluru. Printed Pages: 182.. Softcover. New. New Delhi, India: B.R. Publishing Corporation, 2004. Printed Pages: 432.. Hardcover. New/New. Delhi, India: Bharatiya Kala Prakashan, 2011. Foreword. Acknowledgements. Abbreviations. 1. Introduction. 2. Tourism in Andhra Pradesh. 3. Tourist facilities. 4. Marketing strategies of cultural tourism in Andhra Pradesh. 5. Conclusion. Bibliography. Index.This book details with various aspects of Cultural Tourism in Andhra Pradesh in five chapters. Chapter I is introduction to the topic where as Chapter II embodies information on Tourism in Andhra Pradesh. Chapter III dwelves on the various tourist facilities provided by various stake-holders at different Tourist spots with reference to Cultural Tourism. Chapter IV details the various strategies to the adopted for marketing Cultural Tourism in the State. Chapter V being the last one recapitulates the entire study highlighting the major achieve-ments of research and conclusions. The book serves as a reference guide for young research scholars and government officials working Tourism Department. Printed Pages: 216 with 208 colour plates.. Hardcover. New/New. New Delhi, India: B.R. Publishing Corporation, 2002. Hardcover. New/New. New Delhi, India: Kaveri Book Service, 2016. Hardcover. New/New. New Delhi, India: Indiana Publishing House Softcover. New. New Delhi, India: Westland Limited Biswanath Ghosh paints an amazing and mystical picture in this book, where he starts his journey from the Itarsi Station, Madhya Pradesh. Chai, Chai: Travels in Places Where You Stop But Never Get Off allows the reader to join the author-narrator while he experiences new places and faces. The beautiful sun, the rich cultural history and the people are all rendered with humor and love. One can almost feel the narrator going through the little lanes in Kanpur and then end up in Madras.Whether one is drinking tea at a local café or sitting with numerous people in a local train, Ghosh breathes life into every moment. While speculating on lifes little moments, the author also realizes the amount of hours spent in waiting at railway junctions. The destinations are not just stations and stops for trains to drop commuters off. They represent a different life and a new adventure everyday. There are little towns that people have never heard of which Ghosh talks extensively about such as Shoranpur, Arakkonam, Itarsi, Jhansi and Mughal Sarai. What makes this work unique is that these places are described in terms of the people encountered. Trains play an important role in bringing people from all parts of the country and all walks of life together. This is where the true story lies.Ghosh enriches this story with various descriptions and personal insights. The book is witty, humorous and helps rediscover those areas of India which most have forgotten about due to commercial tourism. No matter how obscure a town maybe, it still holds a rich cultural history which Ghosh describes with avid details.. Softcover. New. New Delhi, India: Lustre Press/Roli Books Snow-clad peaks rising majestically in the horizon, mysterious lakes reflecting the mountains ringing them, massive glaciers and fast-flowing rivers - all this and more are the Himalayas, a world stamped by divinity. Here too are mountain trails winding up to far-flung corners where people in remote villages pursue age-old lifestyles, almost untouched by the contemporary world. From snow-covered Ladakh, with its stark-cold desert; to the Kashmir valley where the ancient pilgrimage trail to the Amarnath cave begins; from Himachal, with its stunning views from Shimla; to the remote Spiti valley and Uttarakhand's temple towns steeped in mythology - the journey moves on to Sikkim, crowned by the magnificent Kanchenjunga mountain, and the rainforests of Arunachal. On the way, visit fascinating people such as the Changpas tending their yaks in Ladakh; the Lepchas of Sikkim, said to be a vanishing tribe; and the Wanchos of Arunachal, the last head hunters of the world. The odyssey continues outside India, to Nepal, Bhutan and Tibet, where the mystique of the Himalayas deepens. Magical places where the chanting of Buddhist lamas resounds in the mountains of Tibet and Bhutan, where exquisite monasteries perch precariously on steep inclines and the dzongs (forts) of Bhutan have stood vigil since the twelfth century are bought to life by stunning photographs and evocative descriptions, enticing you to visit the far-reaches of the Himalayas or merely turn the pages to enjoy a visual feast. Printed Pages: 160.. Hardcover. New/New. New Delhi, India: Lotus/Roli Books Travelling 44,000 miles, at times in 140'F heat - for days without food, at times without water, at times in pirate-infested territories, at times in swamp-lands - they cycled through dense jungles and notched up many 'firsts'while pedalling round the globe. They were the first to cycle the world - six young boys from Bombay Weightlifting Club, who started this journey of adventure on 15 October 1923. Crossing the deserts of Persia, Mesopotamia, Syria and Sinai, they became the first globetrotters to cover the most arduous journey of their lives in four years and five months. A must-read story of adventure and endurance. Printed Pages: 363.. Softcover. New. New Delhi, India: Lustre Press/Roli Books Instead of putting the Gross National Product at the centre of our endeavours, let us strive for Gross National Happiness. 'This quotation of Bhutan's fourth king, Jigme Singye Wangchuck, reveals the essence of what makes his country on the southern slopes of the Himalayas so exceptional. Bhutan has been cut off from the rest of the world for a long time. Though its borders have been open since 1974, few visitors have been there. Since the first democratic elections in 2008, Bhutan has now joined the modern world. In spite of that, it tries to be faithful to its own traditions while harvesting the advantages of modernity. Daily life is still characterized by its century-old religious and cultural traditions. They are the 'capital'of a society that strives for 'Gross National Happiness'. 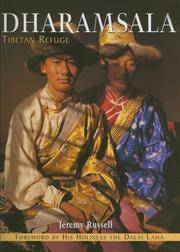 The faces in this book mirror the dignity and self-confidence of people who have found their place in society: members of the royal family, monks, religious dancers, peasants herders, artisans, children and elderly, women and men. Each one of them stepped voluntarily into the portable studio, told his/her name and explained where and how he/she lived and earned his/her livelihood. This portable studio, designed by the photographer himself, is like a huge black cube that can be set up anywhere: in the king's palace, on a village square or anywhere within the confines of a monastery of temple. The canvas provides a neutral background for the photography, so the eye of the viewer can concentrate fully on the photographed individual. The biographical data adds intensity to the portraits. People have a history and their history has a face. This unusual studio photography is accompanied and framed by photographs of an archaic landscape that can only be found along the slopes of the mighty Himalayas'towering mountains, fortress-like monasteries, grazing yak herds and untouched forests. This book offers a fascinating view of a world in the process of slow change. which in many respects has the power of being exemplary in a world beset by the ills of a far too fast moving modernity. Printed Pages: 192.. Hardcover. New/New. New Delhi, India: Lustre Press/Roli Books The City Palace of Jaipur was established in 1727 by one of the most distinguished figures in Indian history, Maharaja Sawai Jai Singh II, who is remembered today as a statesman and astronomer. From the date of its foundation until 1949, his palace served as the main residence of Sawai Jai Singh's successors and as the centre of the Jaipur court administration. Today the palace includes a privately owned museum of courtly arts. Historically one of India's most important royal complexes, the Jaipur City Palace was always much more than the residence of a maharaja. It was also a site of religious ritual, a place of entertainment, a centre of politics and court ceremony, and a source of patronage for music, literature, dance and painting. This book describes and illustrates the palace buildings and the many activities that they accomodated. Printed Pages: 144.. Softcover. New. New Delhi, India: Lotus/Roli Books The first complete shopping guide to Mumbai, written by fashion enthusiasts who have lived and shopped in Mumbai all their lives, The Roli Guide to Shopping in Mumbai will make any shopping spree an absolute delight! From luxury shops to street markets, hot new designers to ethnic treasure troves, The Roli Guide to Shopping in Mumbai spans the fashion spectrum of the city. This easy-to-use guide covers over 500 clothing, accessory and lifestyle stores. Each entry comes with complete addresses, opening times, price ranges and is indexed according to location and type of merchandise sold. The guide is accompanied by detailed maps. Printed Pages: 165.. Softcover. New. New Delhi, India: Lustre Press/Roli Books Dharamsala - literally, a place for shelter - is surely a name that was meant to be . home to the Dalai Lama and the headquarters of his government-in-exile. This tiny dot on India's vast landscape is steeped in history and today, boasts of a cosmopolitan populace. Overlooking the stunningly beautiful Kangra valley and interspersed with the magnificent Deodar, the imprint of Buddhist culture comes alive through its temples, monasteries and the orange robes of Buddhist monks. The aura of the Buddhist spiritual culture, its pervading serenity, the patient preparedness of the Tibetans towards returning to their homeland fill the land with a silent grace that leaves a visitor with a feeling that he has, indeed, visited a 'chosen land'. Founded by the British in 1846, this hill station seems blessed by Avalokitesvara - the Bodhisattva of Compassion, who is as close to being the patron deity of Tibet. The author invites you to visit Dharamsala, to breathe its pristine air, to enjoy a trek amongst its lush, green surroundings. He introduces you to a 'piece of paradise on earth', a refuge away from the madding crowd . a memory that lingers long after it has disappeared from sight. Printed Pages: 96.. Softcover. New. New Delhi, India: Niyogi Books, 2016. Printed Pages: 236.. First Edition. Softcover. New. New Delhi, India: Popular Prakashan, 2016. Printed Pages: 123.. Second Reprint. Softcover. New. 14 x 22 Cm. New Delhi, India: Popular Prakashan, 2016. In this book, the author goes where no conventional guidebooks have gone before. To sapphire lakes in emerald settings like the Kakuli and Kalote lakes, which lie uncelebrated, right in Mumbais backyard. Or the unknown fort of Kohoj and the unsung Mhaismal hill station. Places where you can get away from commercialized tourist centers and noisy crowds.Fact files are included with each article giving you the best time to visit, getting there, time taken, where to stay and where to eat. The book is designed by Subhash Avchat an illustrator who has done an enormous work in Marathi books and is a well-known painter and novelist. The book includes a good number of photographs and sketches.The book can be used as a handbook for tourists and will also appeal to historians, archaeologists and academicians. And of course, it is targeted at the travel enthusiasts who want to explore the hidden treasures of Maharashtra. Printed Pages: 260 numerious maps.. Second Reprint. Softcover. New. 14 x 22 Cm. New Delhi, India: Low Price Publications/D.K. Publishers Distributors Pvt. Ltd., 2011. Printed Pages: 284.. Softcover. New. New Delhi, India: Low Price Publications/D.K. Publishers Distributors Pvt. Ltd., 2012. The book is an account of the journey of Abu Abdullah Mohammed (1304-1358), of the family with the name Ibn Battuta.The author has explained the bhabits, customs and rituals of the people, with whom he came in contact with. Though Ibn Battuta`s interest was in religion and theology, but he has presented a very good view of that period by his writing.This book would be a great help to historians and researchers. It is a very good travelogue. Printed Pages: 405.. Softcover. New.